We've had wonderful news in the Lake District this week, as the first osprey of the year has returned to Bassenthwaite. 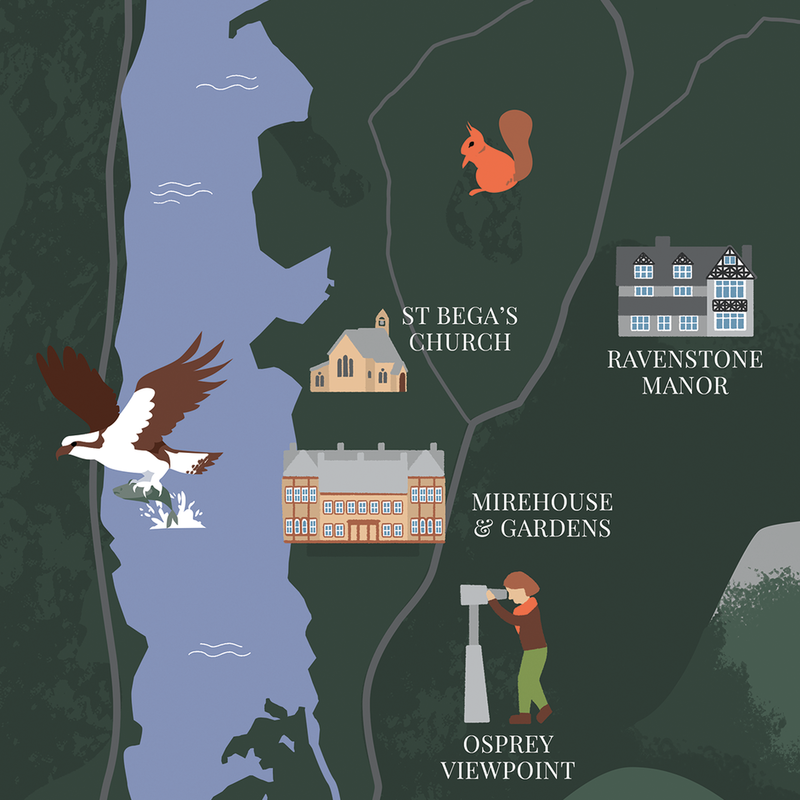 Seems like an appropriate time to share my illustrated map of Bassenthwaite Lake commissioned by Ravenstone Manor, featuring the hotel and other local points of interest. Ravenstone is a beautiful, boutique hotel nestled in the foothills of Skiddaw. It was originally built as a dower house, including coach house and stables, for Lady Charlotte Howard in 1860 as a place of rest and relaxation. I also designed their menus to match their beautifully redecorated interiors. How swoon-worthy is their wallpaper?